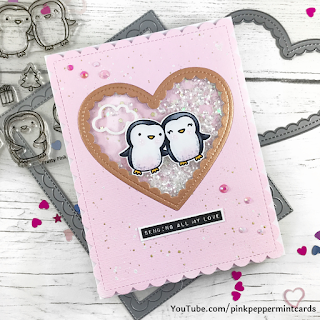 Welcome to my blog, today I'm sharing a love themed shaker card using some Pretty Pink Posh goodies! 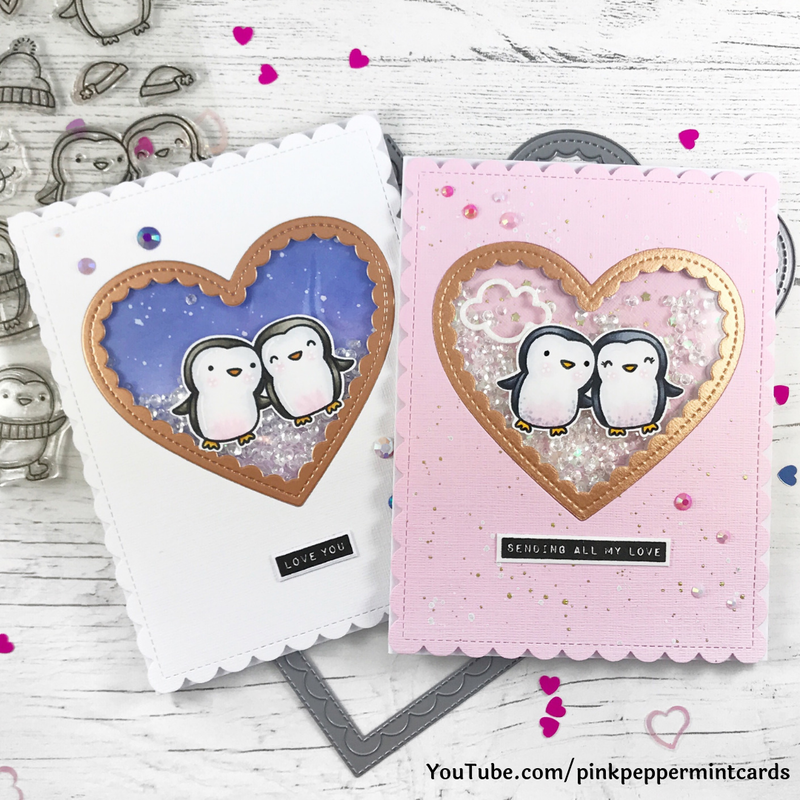 I've used the Penguin Pals stamp set to make a cute shaker card.....I love using my winter themed stamp sets for cards other than just Christmas and winter! 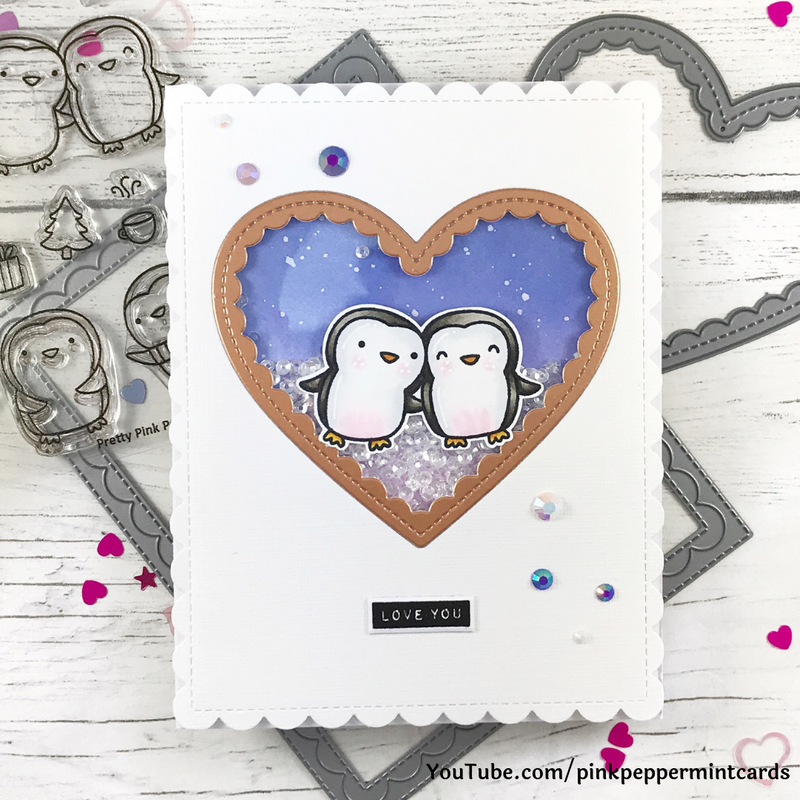 I used a scalloped heart die to create the shaker frame and I embellished both cards with PPP jewels - you can never have enough sparkle :) I used both of the new jewel sets - Valentine & Plum mixes. *All products used in this video have been purchased by me and are products I love and enjoy using! 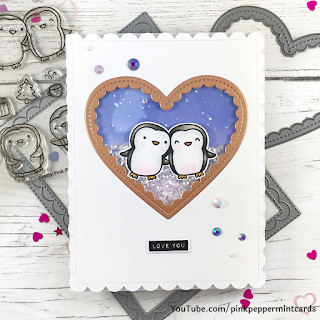 Hi Everyone, today I am back a love themed card, perfect for Valentines Day! 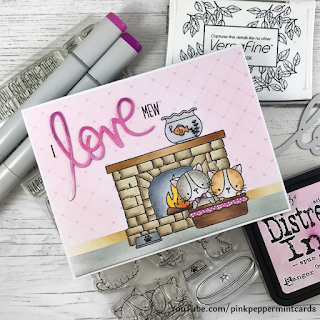 I've had these cute little Cool Cat stamps by MFT for ages and I have finally got around to using them! 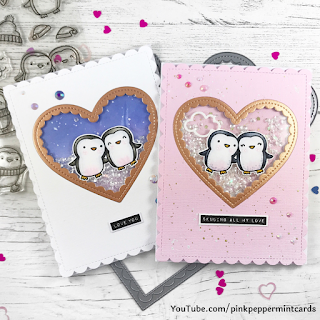 I don't have the co-ordinating dies for this stamp set so it is perfect for one layer cards and masking techniques! I firstly cut and stamped out all the masks I needed on to Hunkydory masking paper - I like this masking paper because you stamp on one side and then remove the backing paper when you are ready to use your mask...not too fiddly! 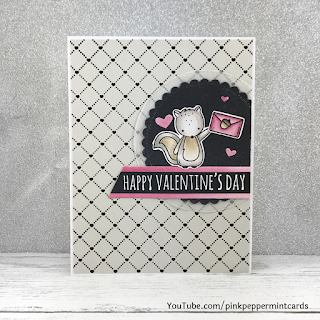 I covered the wall background with a light layer of spun sugar distress ink and then used the Quilted Heart Background stamp from Simon Says stamp to stamp out the detail on the wall...I used spun sugar again for this giving a tone on tone background. I used some more distress inks to shade the baseboards and carpet/flooring. The images were coloured with my copic markers (colours listed below). 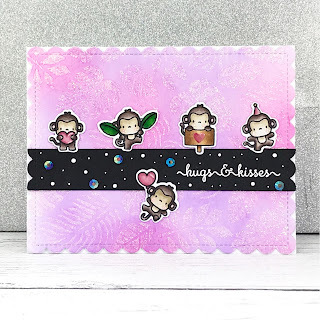 For my sentiment I used a 'love' scripty word die cut out several times from coloured cardstock with the top layer coloured with my copic markers for an ombre look. 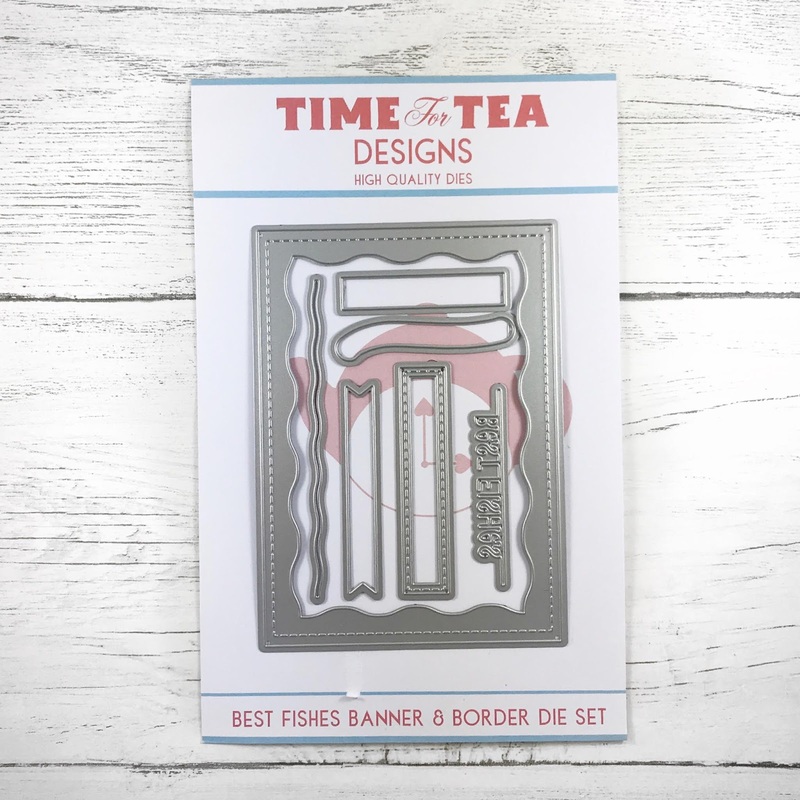 I hope you liked this card! If you'd like to see how I made it with a video tutorial just click the image below! Mermaid Shaker Card using stamps featuring Time for Tea Designs! 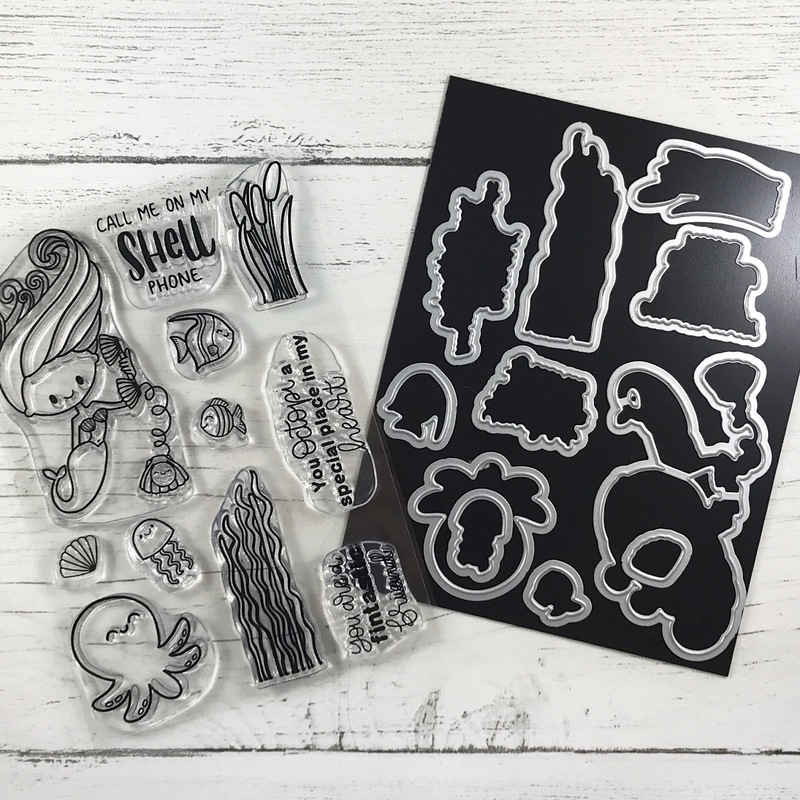 Happy Friday crafty friends! 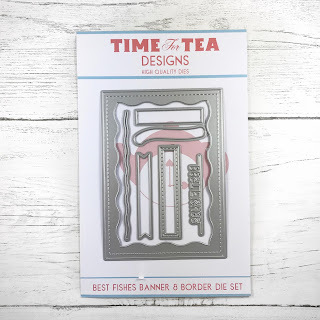 Today I'm super excited to be sharing this shaker card using Time for Tea Designs stamps and dies. 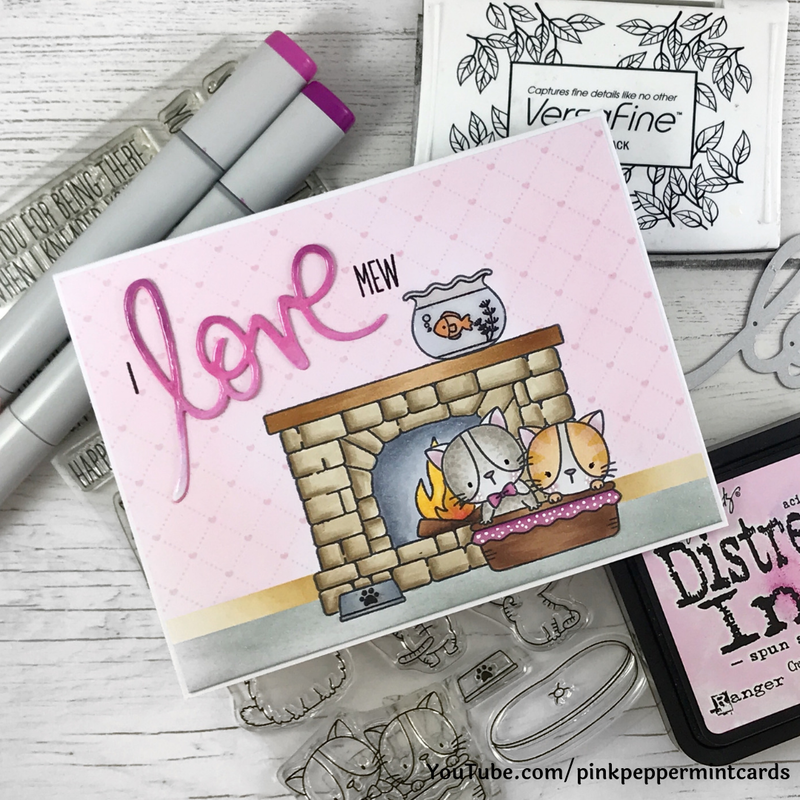 I was thrilled to be contacted by owner, Joanna to see if I wanted to designs some cards using her stamps and here is my first creation! 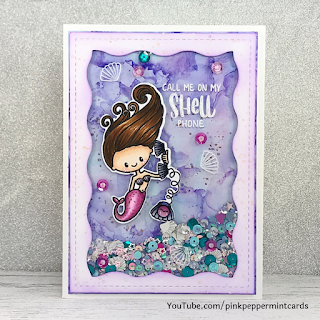 For the background of my card I used some alcohol inks to create a watery ethereal background. 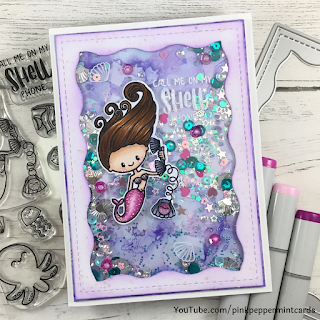 The frame for my shaker was created using the rectangle die from the 'Best Fishes Banner and Border Dies' which I lightly inked with wilted violet distress ink. 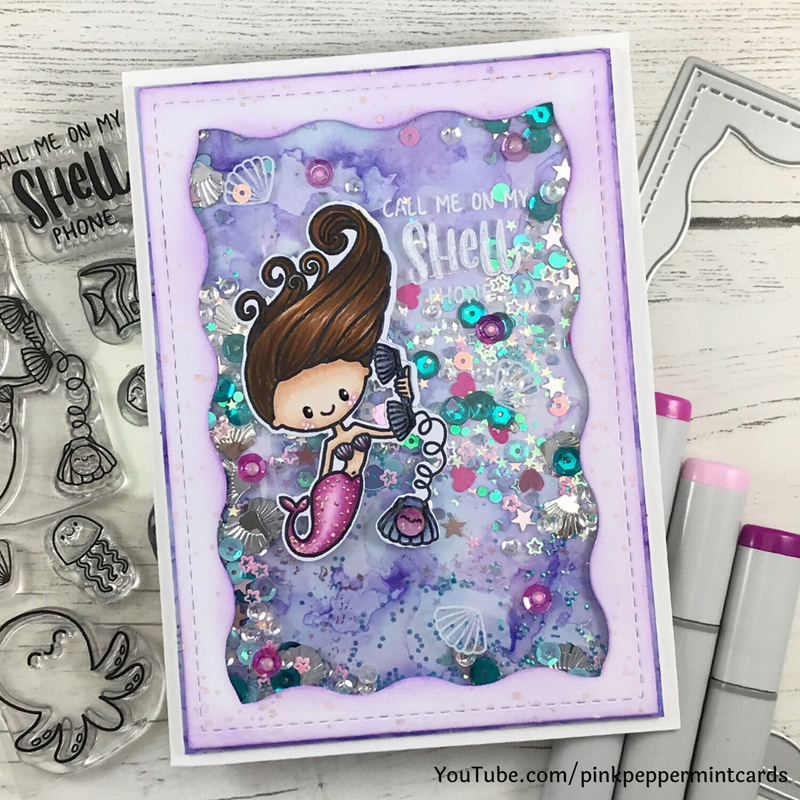 I filled my shaker with a selection of sequins from my stash....I love using a variety of shapes and sizes in my shaker cards! I used copic markers to colour my images and I'ved listed all of the shades I used down below! 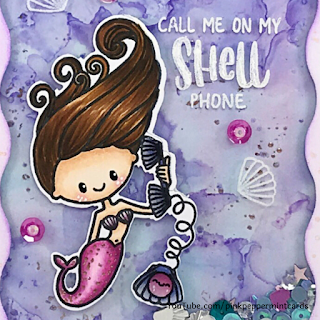 For the foiled dots on the mermaids tail I used a quickie glue pen and left it to dry/go tacky for 5/10 mins. 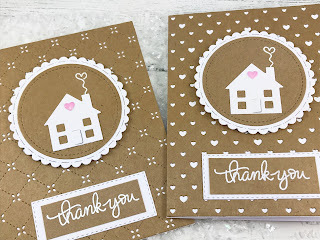 I then rubbed some rose gold foil over the top of the tacky dots which left behind small dots of foil and created a super shimmery effect...I love this technique! Please join me again soon as I will have more cards featuring mermaid themes by Time for Tea Designs - be sure to find links to their products in the list below....go check the full range out NOW by clicking here! Sequins - Gingerbread Sequin Mix - Lucy’s Little Things, plus others from my stash (which ive been collecting for over 10 years)! 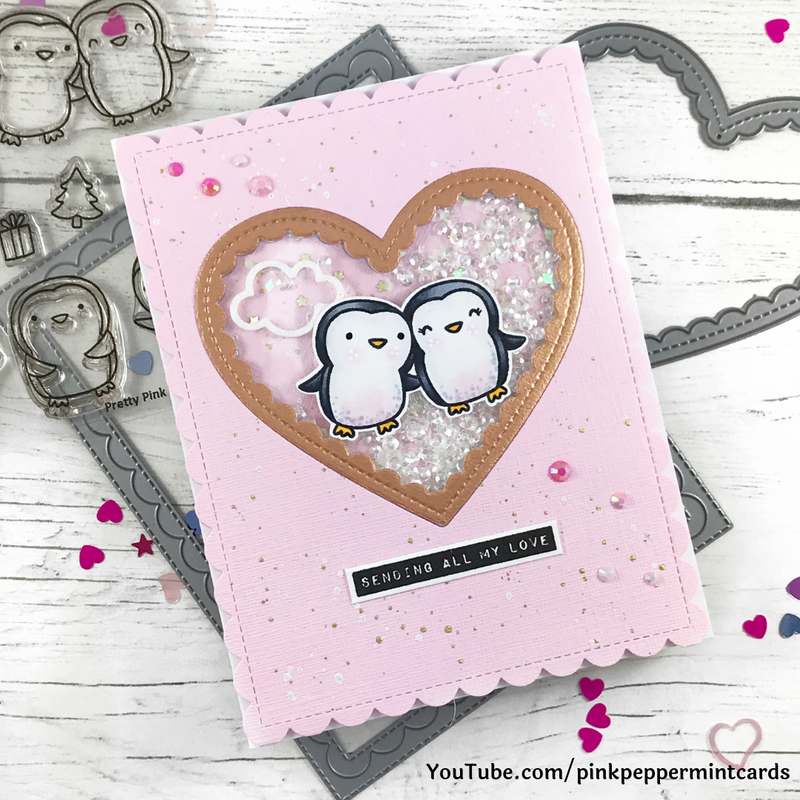 Today I am sharing a grey and pink themed card...one of my favourite colour combinations! 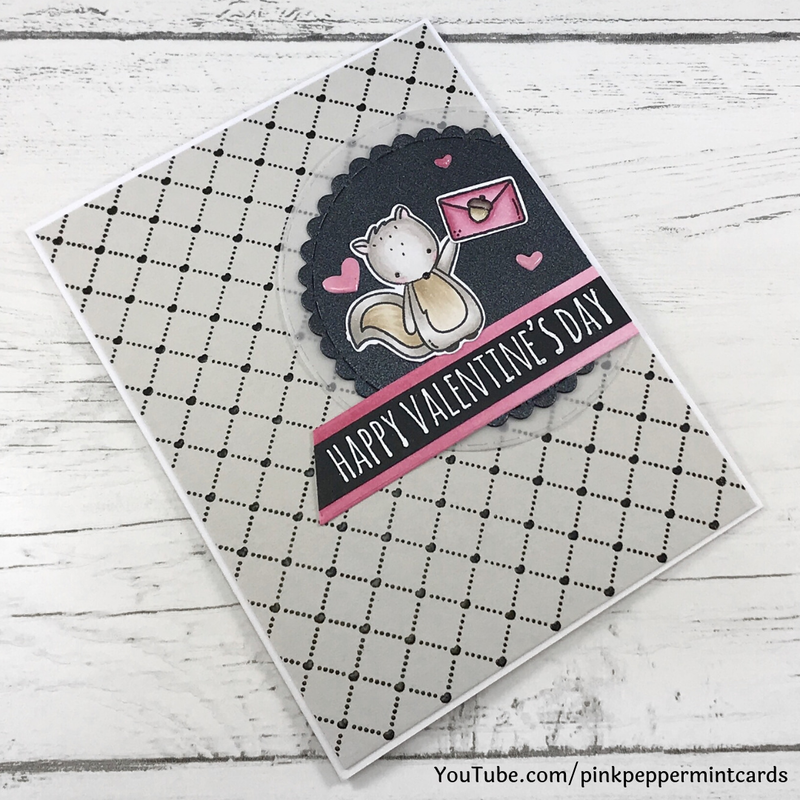 I used my copic markers to colour the squirrel and envelope and used the same pink copics to make my own matching cardstock to die cut the hearts and banner. I love how co-ordinated it all looks. Hello and welcome back to my blog! 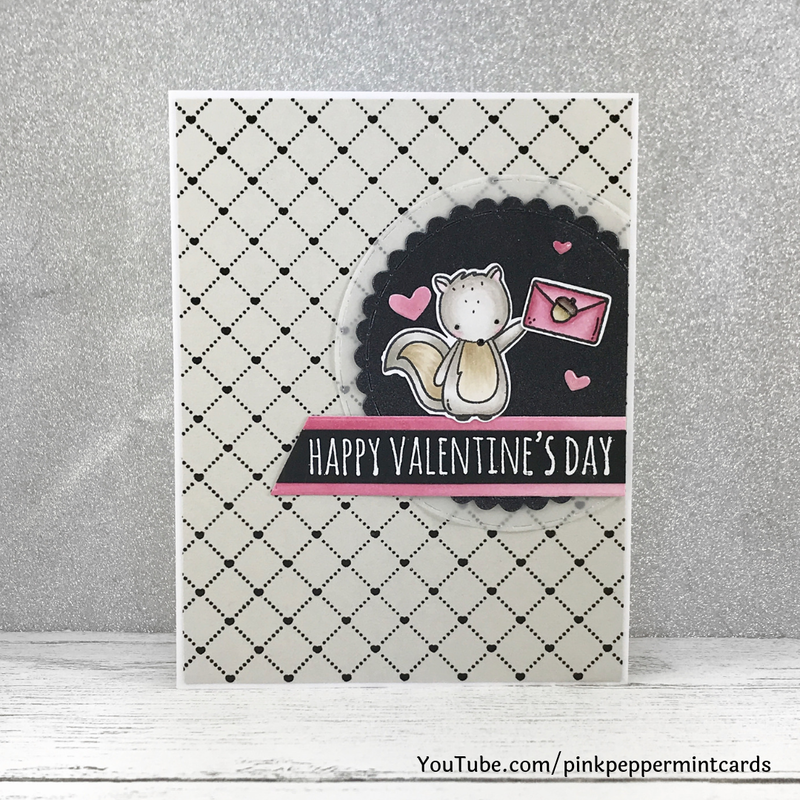 Today I'm sharing this super cute card which could be a Valentine's card but could also be used for anything depending on the sentiment you use. 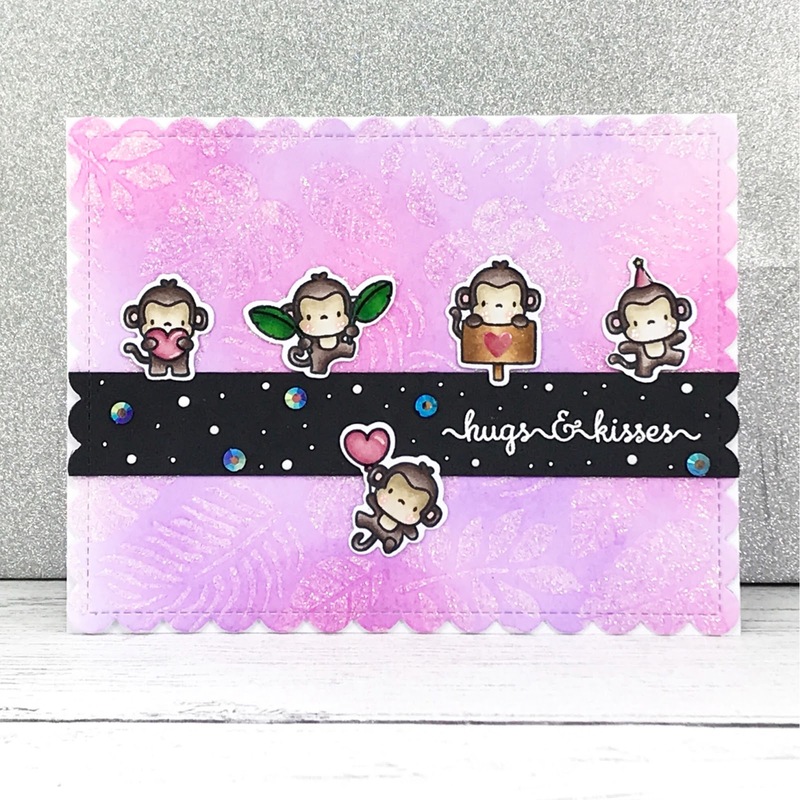 I've used a 'hugs & kisses' sentiment because I'm not too sure who this card will be sent to yet. I love using nuvo glimmer paste especially the moonstone colour....I have a spare tub in my draw as I know I'll run out at some point this year! 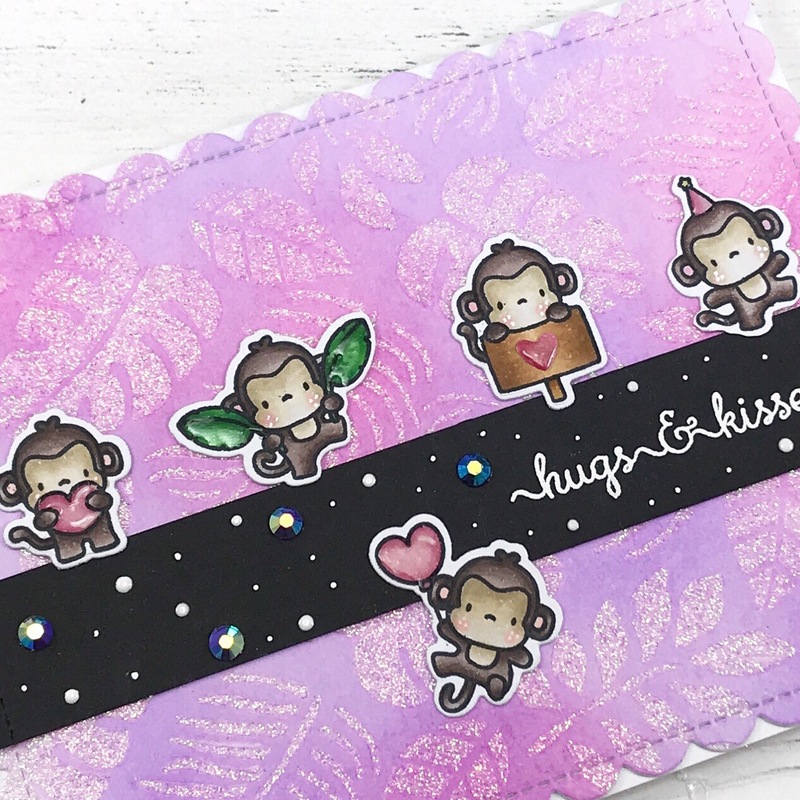 I've used 'Tropical Leaves' stencil by Newtons Nook with these cute little monkey stamps by Mama Elephant, I think they pair well together. I made the inked up background back in the summer but hadn't got around to making a card with it.....with Valentine's Day approaching I thought it would be perfect to kick off some 'love' themed cards. Happy New Year year everyone! I hope you all had a super festive season and are excited to start 2019 as much as I am. For my first card share of 2019 I am sharing these simple cards I created for my relatives who looked after us over Christmas! We were lucky enough not to have to do any cooking over Christmas so I wanted to make some thank you cards for our hosts! All of the supplies I have used are listed below but if you'd like to see how I put them together then just check out my YouTube video below.